Ready for Rail » My trip » How will it change my trip? How will it change my trip? O-Train Line 1 will replace most bus routes travelling through downtown, and will provide a quick, reliable connection between Tunney’s Pasture and Blair. 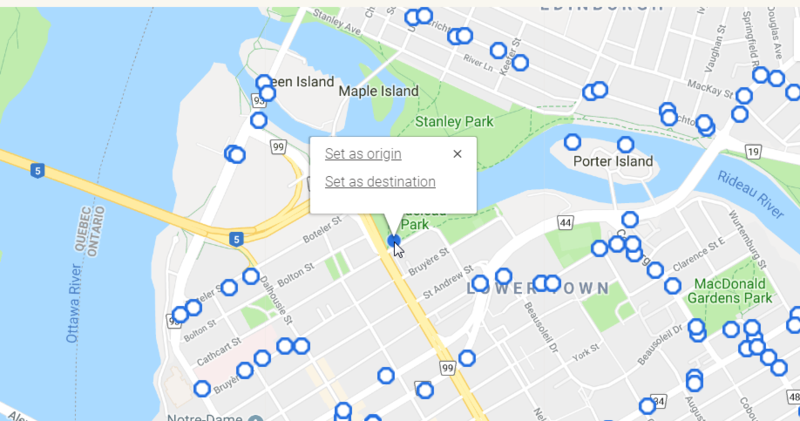 Many bus routes are changing to simplify routing and offer convenient connections to the O-Train. Please disregard any dates that may appear in the Ready for Rail Travel Planner. These are sample dates only, needed for the Travel Planner to calculate your trip. 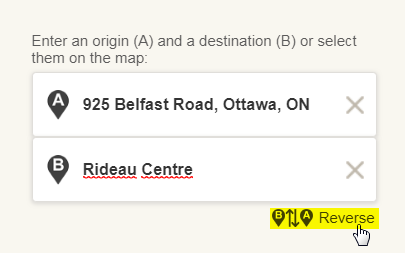 STO routes included in trip plans are based on STO’s current service. 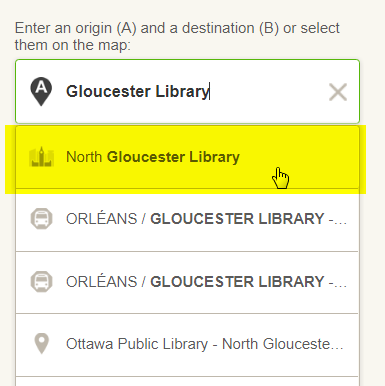 Schedules and routing are close to those that will be in place when Line 1 is in service but they may change slightly. In the upcoming weeks, the Ready for Rail Travel Planner will also include a late-night Friday schedule. On Friday nights, O-Train Line 1 service will be extended until 2 am. 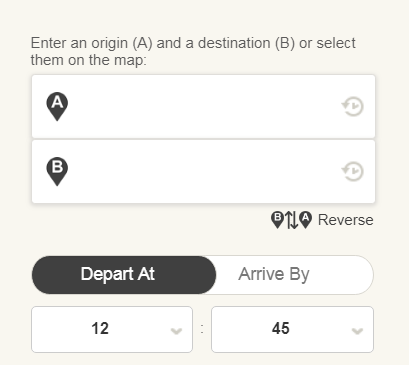 If you have entered your destination in place of your origin, or if you would like to generate a return trip quickly, you can reverse the order of your entries. To zoom, click the “+” symbol at the bottom right of the map or press down the CTL key while using the scroll wheel of your mouse. 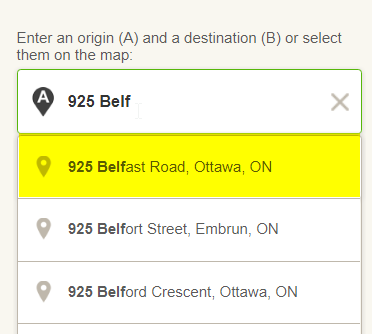 Select either “Set as origin” or “Set as destination"